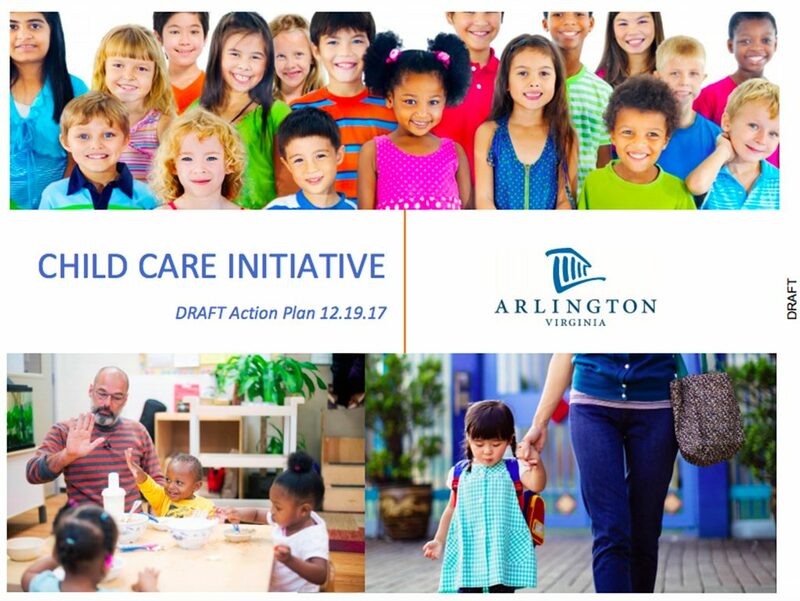 Arlington County officials are seeking the public’s input on how to improve the accessibility and quality of childcare at a community meeting on Thursday. The meeting is part of the county’s Child Care Initiative, which aims to promote the development of an inclusive, integrated child care system that serves Arlington County families, especially vulnerable populations. A draft action plan created in December outlined ways to make childcare more accessible for all income levels. Recommendations included creating a financial assistance program to help families defray childcare costs and updating the county’s zoning ordinance to create more facilities. At the meeting, officials will hear feedback before the draft plan heads to a county workgroup. Attendees will circulate through different stations to provide written and oral feedback. At one station, attendees can also give first-hand, personal accounts of their experiences with childcare. The meeting will take place at the Central Library (1015 N. Quincy Street) from 5:30-8:30 p.m. Registration is requested online. Caitlin Hutchinson, an assistant director with the county’s Dept. of Human Services said Arlington County has a unique opportunity to enact policy changes that drive meaningful progress. “We’re one of the few jurisdictions in the state in that we can enact our own child care code. We really have an opportunity to think about what we want to look like as a community,” she said. In March, a 22-member Leadership Roundtable will review the revised action plan. A final plan is expected to come before the county manager and board in April. Implementation of recommendations will begin in late spring, county staff said. The plan highlighted “significant gaps between supply and demand” for childcare. There are only 6,984 licensed spaces available for children in daycare facilities, but more than double the number of children under the age of five in the county. Arlington County Board Chair Katie Cristol said the child care initiative is one of her top priorities this year. In a Jan. 2 speech, Cristol said policy changes are necessary to make childcare more accessible and affordable for Arlington County residents. “I anticipate that some long-awaited steps will be before the Board soon, such as a potential re-examination of our local codes for alignment with the Commonwealth’s; potential zoning changes to increase the availability of affordable places for, and decrease barriers to entry of, childcare centers; and new partnerships to increase the supply of trained childcare workers,” she said.